The Pure V Shimano XT 29er mountain bike wheel set is both V-brake and 6-bolt disc compatible. 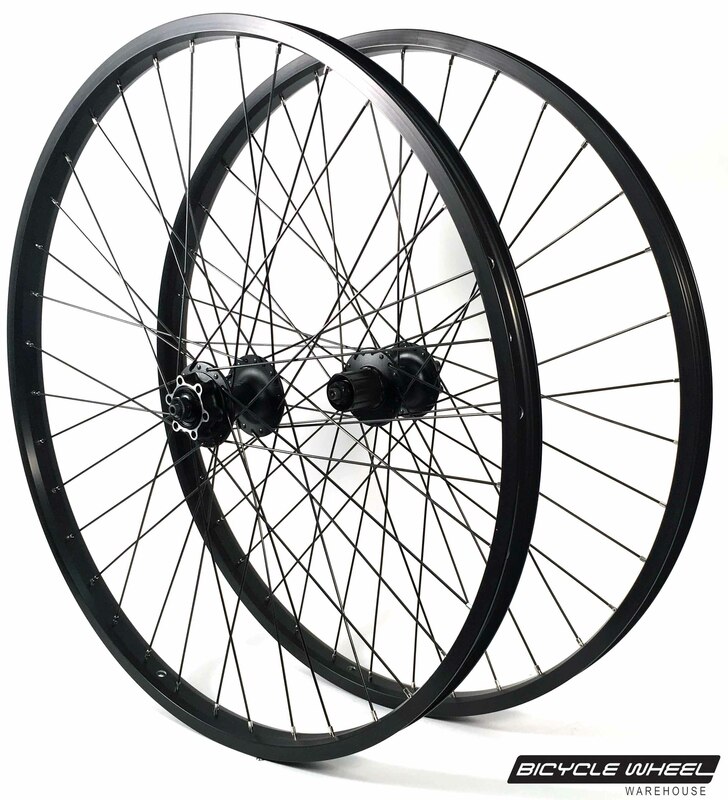 The Pure V Shimano Deore 27.5" / 650b mountain bike wheel set is both rim brake and 6-bolt disc compatible. The BWW V HD with Shimano Alivio Disc 29er mountain bike wheel set is both V-brake and 6-bolt disc compatible. The BWW V HD with Shimano Alivio Disc 27.5" / 650b mountain bike wheel set is both V-brake and 6-bolt disc compatible.